The substrate must be clean, dry and dust free. A render carrier board joint tape must be used to secure all the joints. 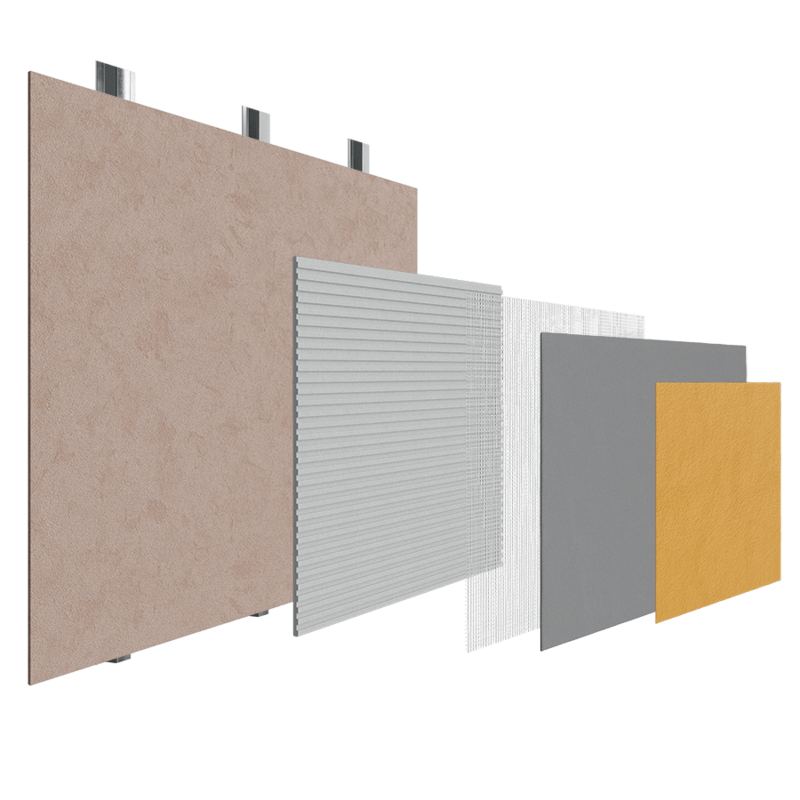 EWI Pro render systems work well on ventilated stainless steel construction as they allow water vapour to pass through the substrate, escaping the external walls and preventing build-up of water vapour. The system allows for the ventilated cavity to remain dry, while also protecting against water ingress.